I think nowadays there is a lot of confusion out there about what is actually healthy and what isn’t – especially when it comes to carbs! Most people think carbs are the devil and will make you gain weight but that actually isn’t necessarily true. I often get asked what bread and carbs should I eat so I thought I would rope in the help of my amazing nutritionist, Louise Johnson, to help advise you the best way forward when it comes to your carb cravings. Here she reveals all…. Remember: Not all breads are created equally!! To understand more, let’s talk about what actually wheat is. Wheat in its natural form contains loads of vitamins and minerals, protein, carbohydrates and fibre – perfect for a balanced and healthy diet. Whole-grain flours are made by grinding up wheat in its natural form but white flours are made by removing the nutritional values in wheat. What happens then is that white flours usually get a dose of B vitamins, folic acid, and iron during processing to replace some of the lost nutrient content, but the flour is still missing many healthy elements such as antioxidants and phytonutrients. Studies have shown that white flour causes spikes in blood sugar levels which can lead short term to tiredness, lack of energy and increased hunger and long term this can have a negative effect on your health. So, where possible avoid white bread and go from wholewheat! So then, what’s the difference between wholemeal, wholewheat, wholegrain and granary bread? Wholemeal, wholewheat and wholegrain bread are basically different terms for the same thing and all are wholegrain. 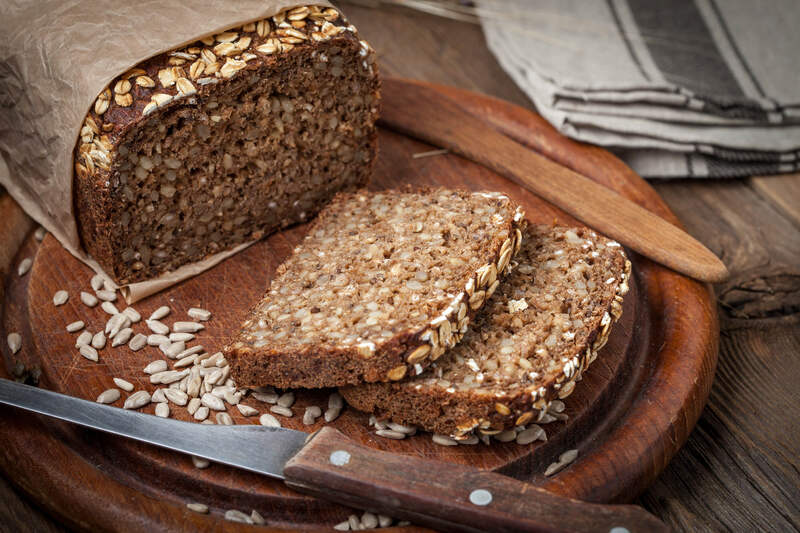 Granary bread is slightly different and contains malted wheat flakes that are added to give it a specific texture. This may or may not be made from wholegrain flour, so always check the label. Wheat-germ bread is made from white flour to which a portion of wheat germ has been added back so it is not wholegrain. Just remember to always pay close attention to the ingredient list. You want to see the word “whole” before any flours listed in the ingredient list or “100 percent whole wheat” on the front of the package. Most wheat breads contain “wheat” as the first ingredient; however, this term, without “whole grain” before it, usually means refined, white flour and should be avoided. The fermentation produced by sourdough production seems to alter the structure of the starch to slow its digestion, causing a smaller spike in blood sugar which means it is much better for sustaining energy levels. This fermentation also decreases the amount of gluten, making sourdough bread easier to digest for some. You may see some breads in bakeries or shops called “sour bread” but this is not the same as sourdough. It usually means a sour flavouring agent has been used in the bread. Rye flour is more nutrient-dense and higher in fibre than whole-wheat flour. 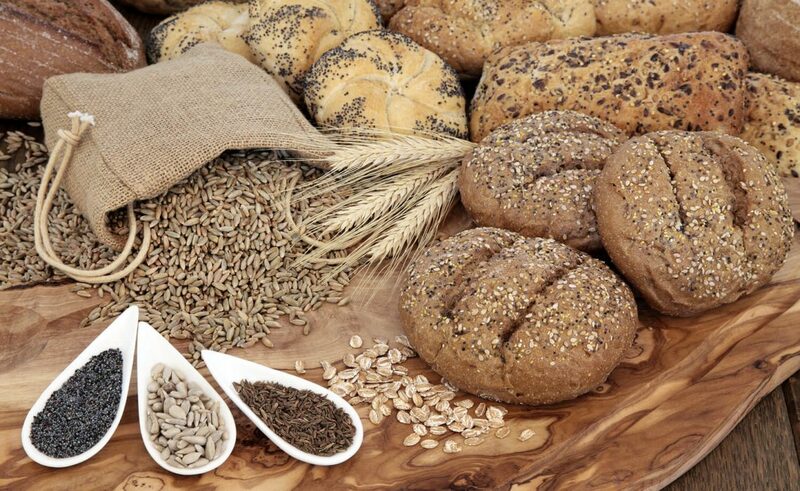 Rye is a great source of iron and magnesium and a great way to increase your zinc intake. Some rye breads are made mostly with wheat flour and just a few rye seeds tossed in for effect. Find one that’s closer to 100 percent whole rye by looking at the labels. The denser the bread, the more rye it likely contains. 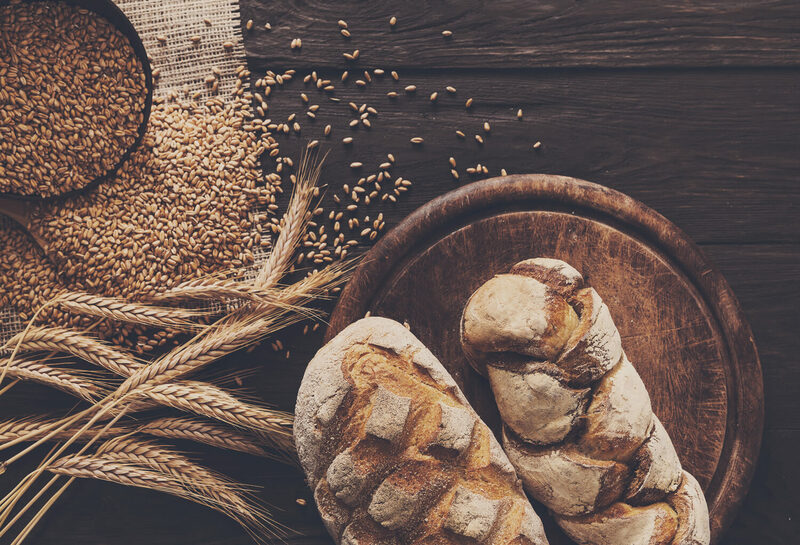 If you follow a gluten-free diet there are plenty of gluten-free wholegrains that you can enjoy such as brown rice, quinoa, uncontaminated oats, millet, sorghum, teff and buckwheat. Always check the label and choose brands that use mostly 100 percent whole grains like brown rice and chickpea flour. For those without celiac disease, gluten-free breads may or may not be healthier. 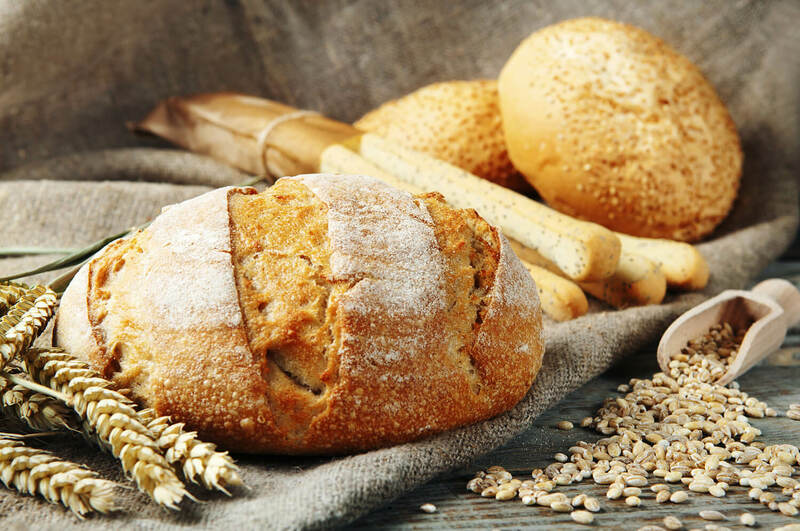 Many gluten-free bread products are prepared with corn or rice starch, both of which have a high glycemic index and low fibre and some gluten-free options will also contain extra sugars, sweeteners and additives. Because gluten-free grains aren’t always easy to form bread dough with, some manufacturers of gluten-free breads often mix in unhealthy fats or oils to the dough to increase its palatability and additives like starches and gums to improve texture so I wouldn’t recommend reaching for this option if you don’t need to. Sprouted wheat/grains increases the activity of certain enzymes, which allows nutrients to be more available for digestion. Sprouting also increases the levels of B vitamins and minerals such as iron. Plus, many sprouted brands include healthy items like seeds and nuts in their blends. Due to these differences, sprouted-grain breads are technically more nutritious than breads made using un-sprouted flour. At Results with Lucy HQ, we use sourdough, rye bread and wholewheat pittas/wraps in our recipes. 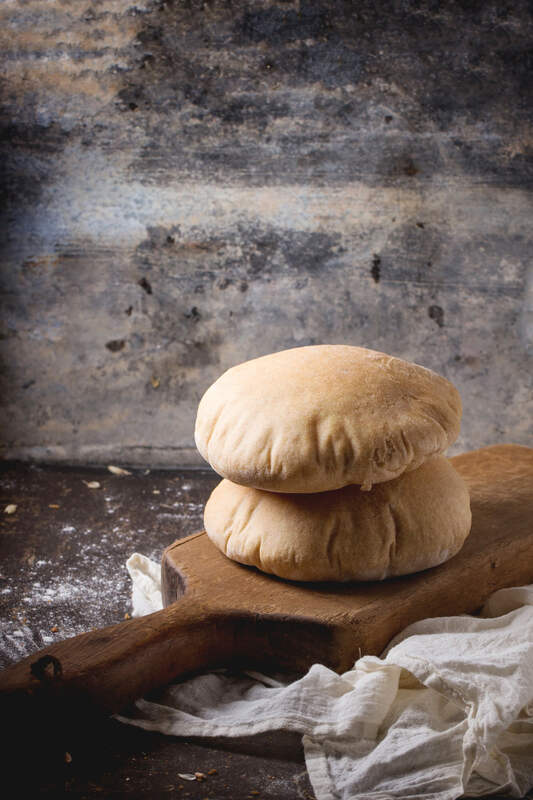 We believe these are among the best types of bread out there that are not only tasty but are healthy and nutritious.